Holy crap. When a ball starts rolling it really rolls. You can read the link to the Facebook Post here. Now, #ConManKen - watch what you say. You DO KNOW the authorities are watching you and probably reading these posts. Schadenfreude. Its worth the wait. 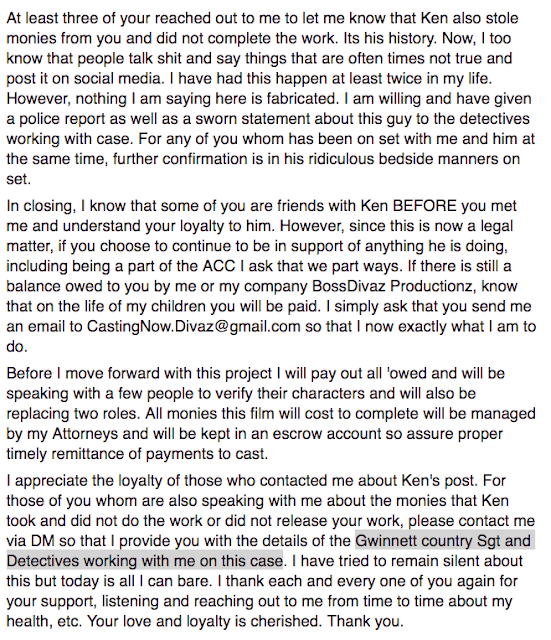 Ken, why don't you contact the imaginary FBI and maybe they can get the real Gwinnett Country, Georgia Sgt and Detectives to back off. 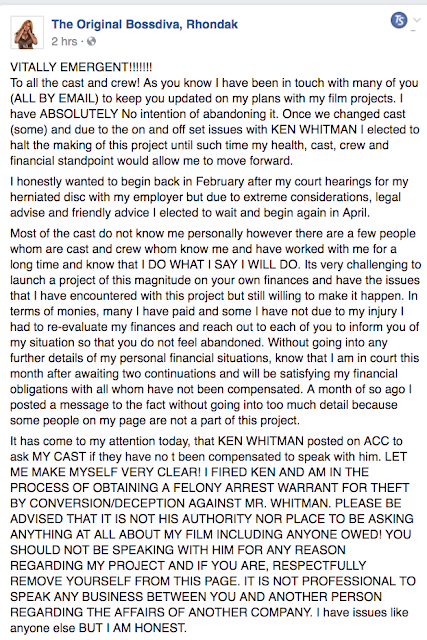 with a little research I think you could set your watch to Ken's 'projects'. Oh, man. I'm NEVER getting comprehensible instructions to the Knights Quest card game now, am I? 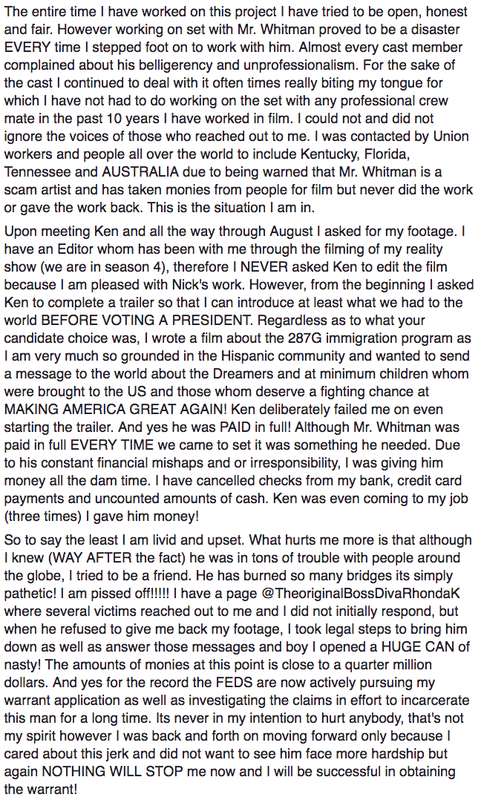 Will Ken be arrested or not? 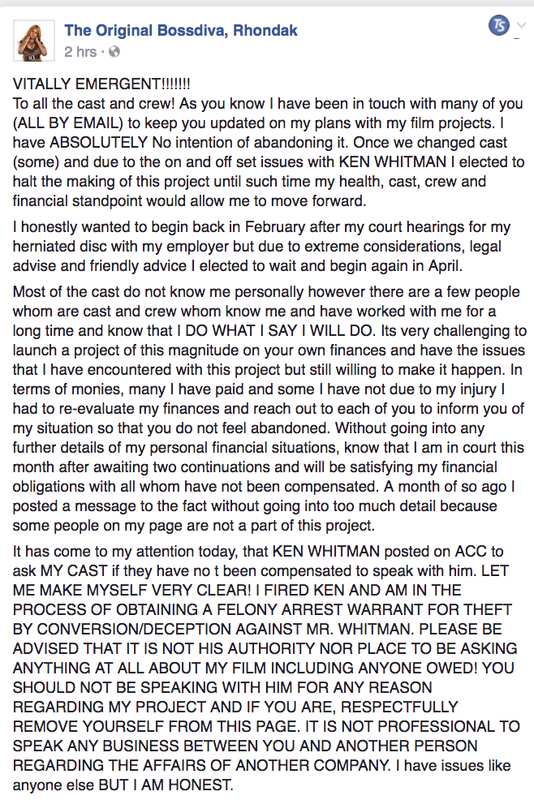 I look forward to find out what happens in the continuing saga of Ken/Whit Whitman. I hope justice finally gets served. Hasn't this gotten interesting? Since Ken apparently works for Markus, has anyone passed the store address along so that she can forward it to the authorities? Picking Ken up is easier if they know where he is. Just when you think he's hit rock bottom.... he falls a bit further. 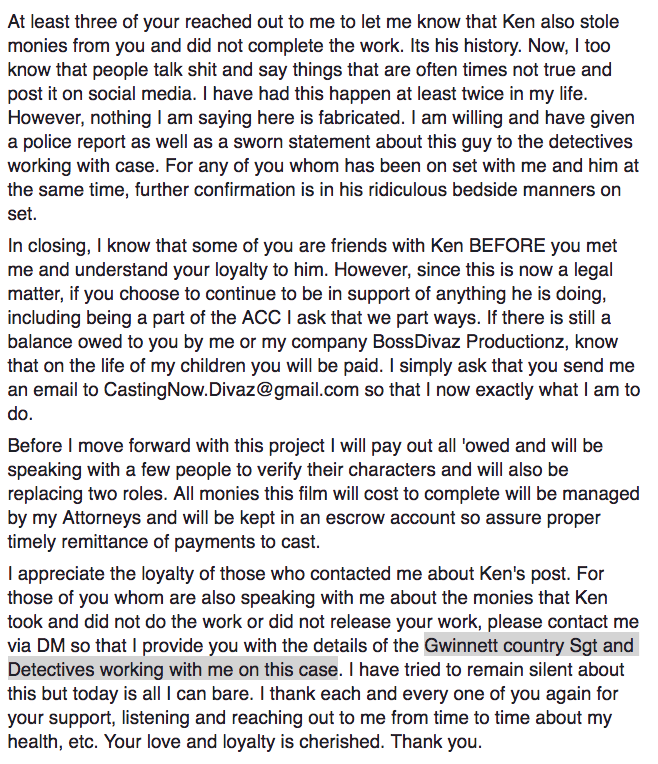 I have a feeling that he is going to try to scam someone he shouldn't when he is in prison. That probably won't end well. Oh yeah, someone is going to serve real time. Wow. Looks like it's finally brown trousers time for Ken Shitman. If I were Marcus, I'd go get my lawyer to start looking up where the legal lines are for aiding & abetting. What a sleazy lowlife. Hopefully he gets what's coming to him - and soon. 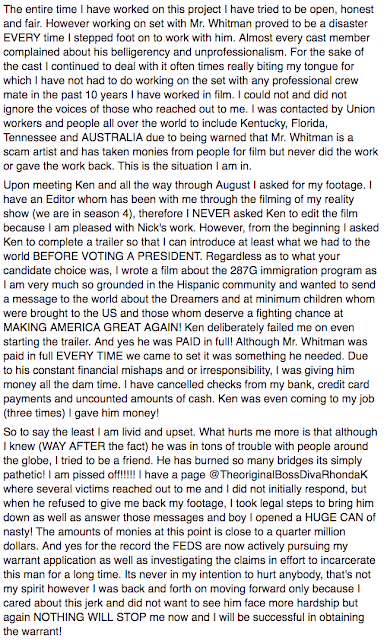 Does it strike anyone else as odd that those posts have similar grammar, punctuation, and unnecessary all-caps to Ken Whitman's posts? No, such things are fairly common on the web.